This Post has already been read 1416 times. 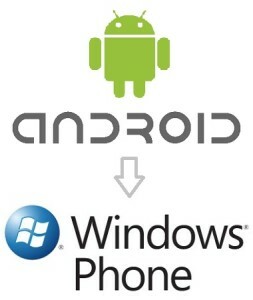 Microsoft is planning to launch an application called “Switch to Windows Phone” for the Android platform. The app is expected to ease any app availability concerns of users who consider switching from Android platform to Windows Phone. The application will help you see if your favorite Android apps are already available on the Windows Phone 8 platform, and in case they are not show you what alternatives inhabit the WP Store. Microsoft Phone store currently has about 135,000 applications and the Microsoft is obviously confident that this is enough to cover most users’ requirements. The Switch for Windows Phone application will scan the apps in your Android smartphone and let you know if they are available in the WP Store and suggest you the best alternatives to those that aren’t. Microsoft’s all new application for Android devices will feature a search mechanism powered by Quixley and is expected to hit the Google Play Store in the upcoming days.